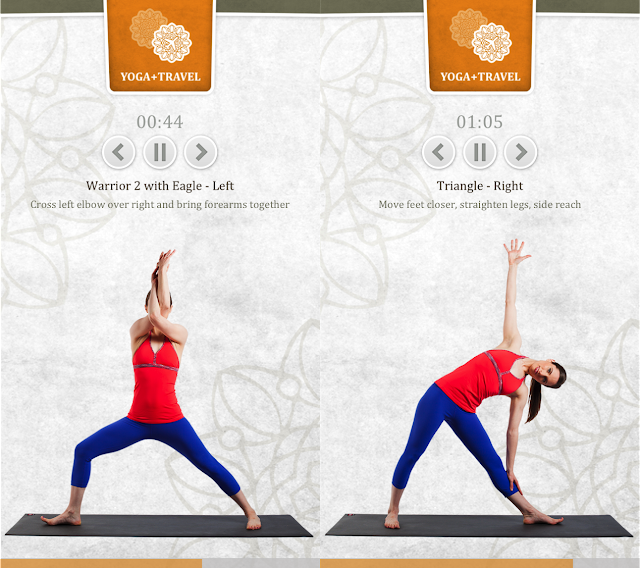 a spot of whimsy: Yoga + Travel. I am quite excited to share something with you today: my yoga teacher, Allison English, has launched a yoga app for iPhone and Windows phones, called Yoga+Travel, with the goal of helping yoga lovers fit in their practice when traveling or just too busy to make it to a class. The app actually launched a few months ago, but I just had occasion to use it last week, so I can now confidently say just how awesome it is. The Upper Back and Hip Unwind sequence is FREE and 40 minutes long. Allison talks you through each pose, as the images slowly change with the clock. It is so well done. 2 new sequences were recently made available on the app: Help for Your Hamstrings and Shoulder and Spine Re-Align, both priced at $1.99, with more on the way! I am obviously biased, as I have been practicing weekly with Allison at Equinox for the past 4 years (like, I plan my exercise for the week around when she teaches! ), but I think the ability to practice with her anywhere, on the go, is simply phenomenal. *Note: I received absolutely nothing for this post! How could I resist sharing the awesomeness?! I just downloaded this! Thanks! Thanks for this- just what I need! So glad to hear it! Hope you enjoy Allison's teaching as much as I do.